You and other consumers and corporations manufacture, use and discard millions of tons of metal every year, which goes into everything from small beverage cans to giant vehicles. Approximately 150 million tons of scrap metal was recycled in 2008, according to the Institute of Scrap Recycling Industries, which comprises 40 percent of the world's available metal used for manufacturing. Recycling such metal has several direct benefits for the United States and the world in general. Recycling metal has numerous benefits for the environment. Compared with making products from recycled metal, the production of new metal from mined ore releases far greater amounts of greenhouse gas emissions. These emissions may influence climate change and may also cause harmful levels of air pollution in cities, resulting in potential respiratory health problems for you and other residents. The Institute of Scrap Recycling Industries reports that recycling metal may cut greenhouse gas emissions by 300 million to 500 million tons. In addition, using scrap metal in lieu of virgin ore generates 97 percent less mining waste and uses 40 percent less water, according to the National Institutes of Health. Recycling metal conserves energy that would otherwise be expended in drilling ore, refining the metal and other processes of the metal manufacturing process. Energy conservation levels vary according to the product type. 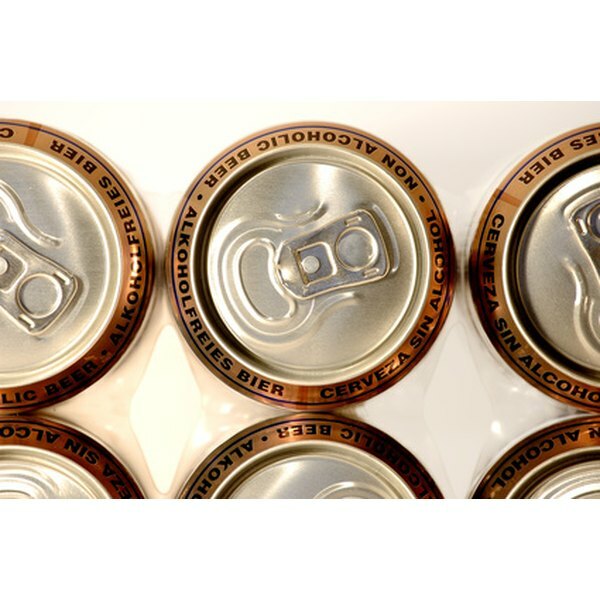 For example, the National Institutes of Health say recycling aluminum uses 95 percent less energy than deriving it from raw materials, while recycling steel saves 60 percent. Put into more personal terms, if you recycle a single aluminum beverage can, you help conserve enough energy to power a 60-watt light bulb for more than four hours, according to the U.S. Environmental Protection Agency. A limited amount of metal ore is in the planet. Recycling reduces the amount of virgin ore needed to be mined by providing manufacturers with a source of already-mined metal. The City of San Diego Environmental Services Department says recycling a pound of aluminum saves 4 lbs. of bauxite ore while recycling steel conserves 1.25 lbs. of ore. Recycling metal creates 36 times more jobs than sending the same amount of metal waste to the incinerator, and six times more than sending the metal to a landfill, according to the National Institutes of Health. National Recycling Coalition: The National Recycling Coalition says the recycling industry in general generates $236 billion annually and employs more than a million workers across America.